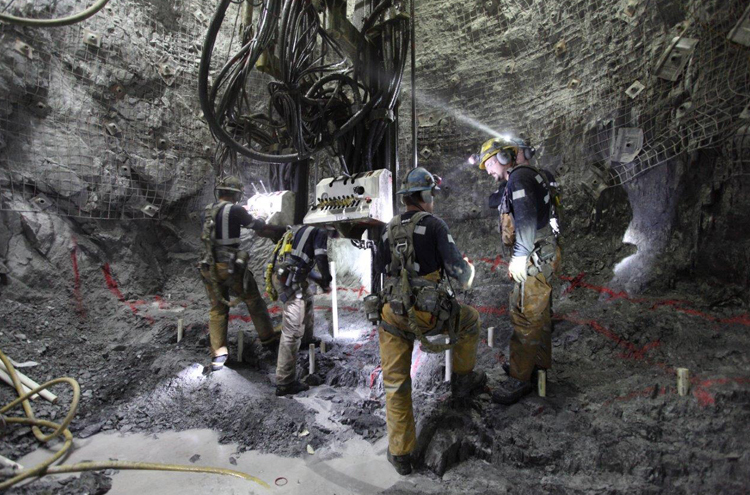 Cementation carried out the design and development of the #4 shaft winze at the Lucky Friday Mine for Hecla Mining. Initially, Cementation worked with the Hecla group in the prefeasibility costing and scheduling along with preliminary design work for their proposed internal shaft. Work on Hecla's historic Lucky Friday Mine located just outside of Coeur d'Alene in Northern Idaho began in November 2009. The scope included the design and sinking of an 18 ft diameter shaft to a depth of 8800 ft below surface. This is an internal shaft, the top of which is at the 4900 ft depth level of the existing underground mine. Other associated tasks included lateral development, excavation and construction of an underground hoist station and 16 ft diameter ore bins that are 70 ft high, and installations of the hoisting plant and sinking equipment underground. Additional scope commenced in 2012 and includes the refurbishing of the existing Silver Shaft to surface.